All New Vitamix Personal Cup Adapter Review! ORDER A VITAMIX PERSONAL CUP ADAPTER HERE. FREE QUICK U.S SHIPPING WHEN ORDERED THROUGH BLENDING WITH HENRY! CANADA CUSTOMERS PLEASE CLICK HERE TO ORDER AND GET FAST FREE SHIPPING. CANADA CUSTOMERS PLEASE CLICK HERE TO ORDER AND GET FAST FREE SHIPPING! For years Vitamix has offered the optional 32oz wet blade container for their legacy machines. It's the perfect sized container for making smaller recipes such as soups, nut butters, dips, sauces and smoothies for one or two people. It's a must-have companion container for Vitamix machines that come with the wide-bottomed 64oz container such as the Pro 750. 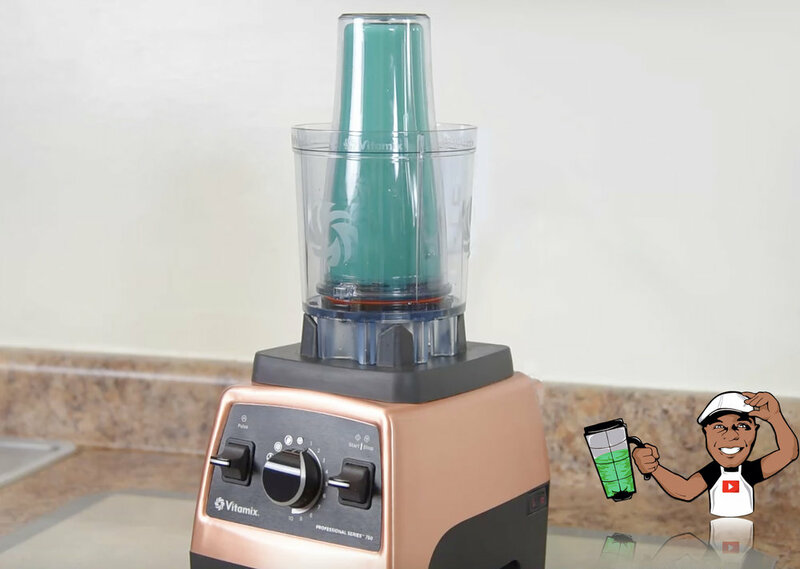 While the 32oz wet blade container is my personal favorite, the blending industry has clamored for an even smaller blending conatainer, one that actually blends directly on the base of the blender and small enough for single-serve drinks and smoothies. Other brands such as Nutribullet and Ninja have single-serve blenders on the market and they have proven to be successful. Customers of Vitamix machines are accustomed to professional-grade blenders and prefer to stay with that level of quality rather than downgrading to Nutribullet or Ninja, or consume additional countertop space just to have the convenience of single-serve blending. The public has spoken and Vitamix has listened and created a stellar product which they call "Personal Cup Adapter". Made exclusively for the Vitamix Classic series and G-series legacy machines. In the box with the Personal Cup Adapter is one set of laser-cut blades, (2) 20oz single-serve double-insulated blending cups that are designed to be used as travel cups with the included spill-proof lids, a Getting Started booklet and the instruction manual. The overall construction of the Personal Cup Adapter is of very high quality materials. The plastic body is 100% BPA-free. Inside the Personal Cup Adapter are the included blades that are laser-cut and thick in design to pulverize several types of foods. The bottom of the adapter is of all metal construction. What's truly amazing about this product is there is virtually no learning curve. Out of the box is very straight forward. Simply add your ingredients in the double-insulted single-serve travel cup. From there you simply attach the Personal Cup Adapter to the single-serve travel cup (as shown below) and twist it until firmly in place but not tight. The blade gasket protects from leakage so there is no need to overly tighten the adapter to the travel cup. Flip it upside down and sit it on the Vitamix blending motor base. Personal Cup Adapter is compatible with Classic Series Vitamix machines such as the 5200 and 6300 and is also compatible with the G-series Vitamix machines such as the Pro 750 or 780. So what is there to love about the Vitamix Personal Cup Adapter? Well just about everything. 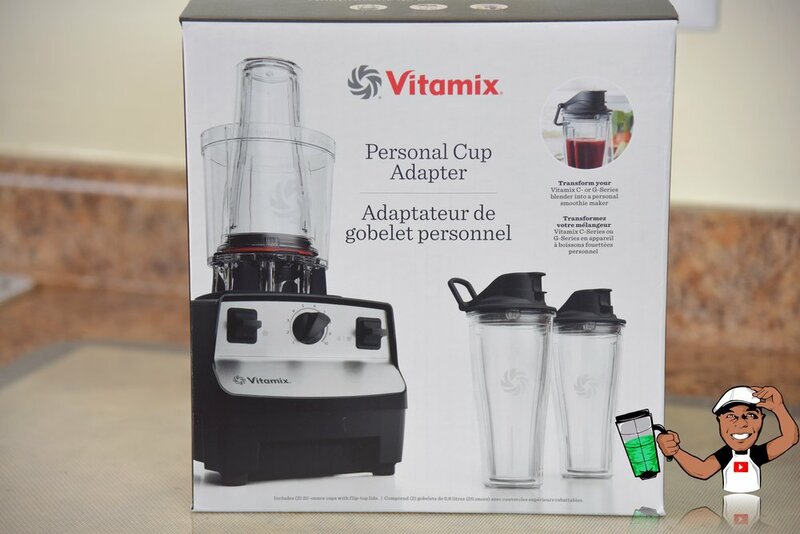 It offers a solution for owners of legacy Vitamix machines, it's well crafted, affordable (currently $129.95 on Vitamix.com) and comes with everything in the box to satisfy the on-the-go blending needs of at least two people. What's not to love? Well, at the end of the day it is in fact an adapter which may appear cumbersome for a select amount of customers. 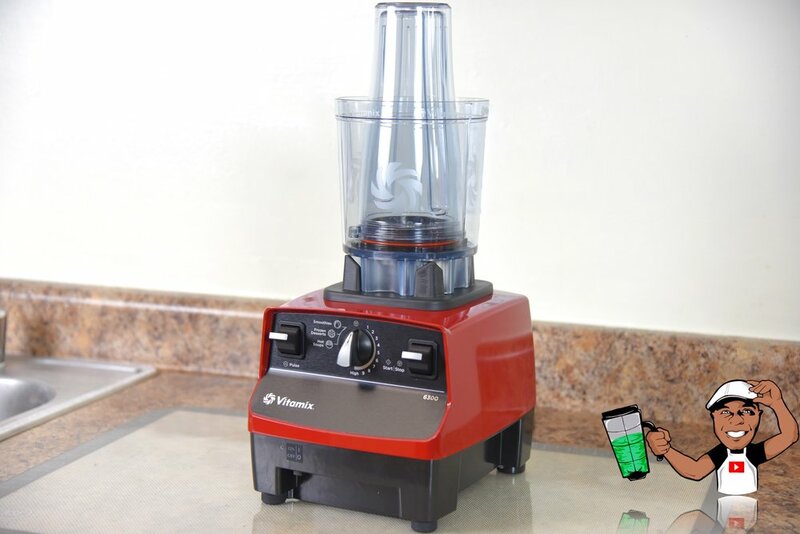 If you have a legacy Vitamix machine of 5 years or more and were looking to upgrade then you may want to check out the Vitamix Ascent Series machines which are compatible with a 20oz single-serve travel cup (coming soon) that blends directly on the Ascent base (shown below) without an adapter. All in all, for owners of legacy Vitamix machines the Personal Cup Adapter will not only increase the functionality of your Vitamix, in my opinion it is truly a must have! NOTE: Personal Cup Adapter was provided by the Vitamix corporation to Blending with Henry with no influence on the review.